Create a feeling of light and space using an expanse of uninterrupted glass with Sapphire Windows Sliding Patio doors. 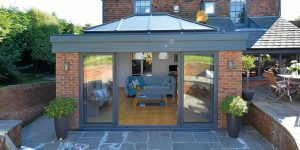 Our Aluminium Sliding Patio Doors are ideal for large span areas and situations where bi-folding doors or French doors might not be so appropriate. A sliding Patio Door will offer you the largest uninterrupted glass area and once open doesn’t take up room on a patio, or inside the home. 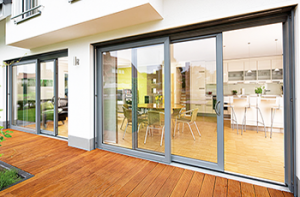 Available in two, three, four or six panels, all patio doors are double or triple glazed with special sliding mechanisms to enable even the largest sashes to slide open and close smoothly on a double or triple track, whatever their size.